Lucien is a young Parisian at the birth of the modern era, racing through the streets of Europe in an exuberant bid to become a singer for the ages. When tragedy leads him to a magical discovery, Lucien embarks on a journey that will help him—and Martin, Maria, and Anna—learn that it’s not how many breaths you take, it’s what you do with those you’re given. This unlikely quartet is bound together across centuries and continents by the strange and spectacular history of Richard Wagner’s masterpiece opera Tristan and Isolde. Grandly operatic in scale, their story is one of music and magic, love and death, betrayal and fate. Matthew Gallaway’s riveting debut will have readers spellbound from the opening page to its breathtaking conclusion. 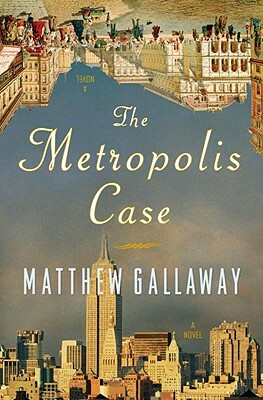 MATTHEW GALLAWAYis a first-time novelist originally from Pittsburgh, Pennsylvania. He now lives in New York City. “Even for a reader unacquainted with opera, The Metropolis Case enthralls.